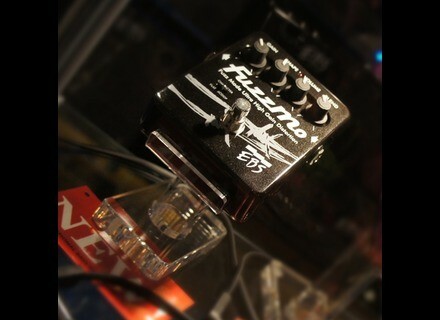 Fuzz pedal analog high-gain Low. Gain: .... huh? it is already clear, right? Shape: filter which varies the gain of the wave, triangle square. Affects the wet signal. Volume: Volume of the wet signal. Blend: volume of the dry signal. 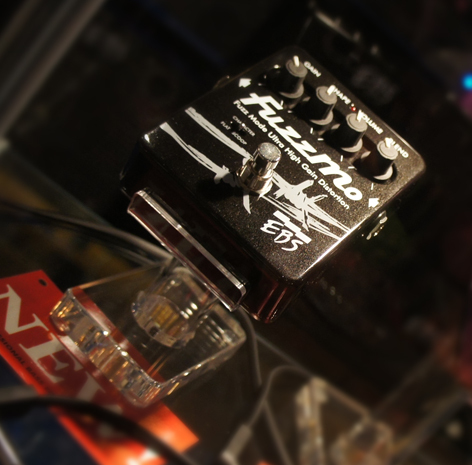 as often on EBS switch a little extra for awesome sound via pre-set predefined pedal. 3 position: Flat to sound good in the midrange, a vintage can. scoop for equalo V ... which is low in the mix disappear if we do not control the shape and blend. To adjust the pedal, I recommend you start with all the knobs in the "12" position the mark on the top. EBS as often on their products, which is neutral, "origin" from which rule via our preferences! 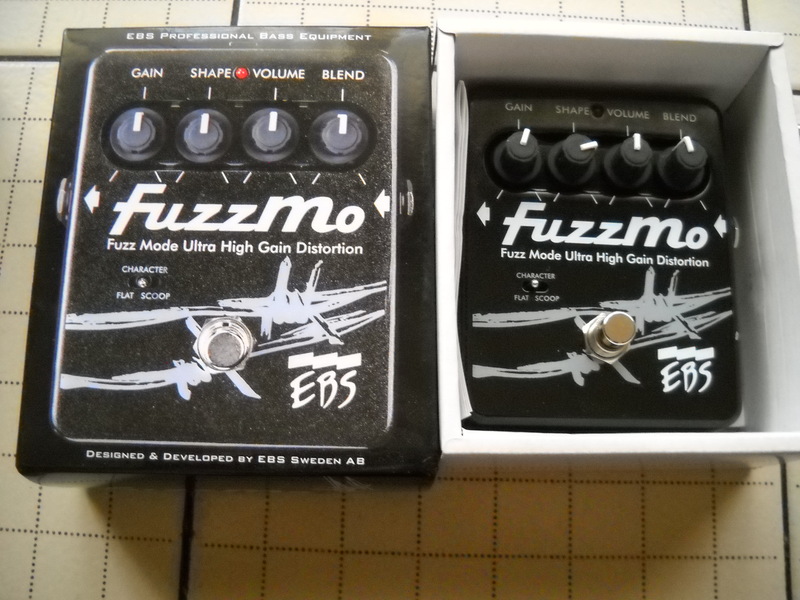 Fuzz signal a "neutral" 50/100 is obtained dry 50/100 wet, with medium gain fuzz (already a good gain for this pedal!). 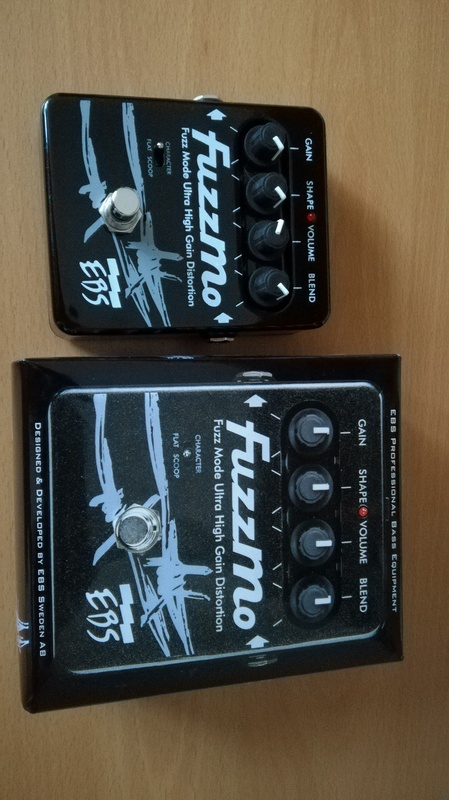 The great regret leaving EBS just before Fuzzmo a signature pedal "BILLY SHEEHAN" with two Loop, clean and distortion, virtually the same pedal but Disto! Why not have reproduced this pattern on fuzzmo? It would become the gem of Fuzz Bass, a pedal to put the center of his pedalboard, lets you connect to any other effects, sculpting and mixing sound! Only dream of this kind of principle I am? In so starting from a sound Fuzz "neutral" (position knobs to 12), we easily adjusts the sound. The settings allow you to get almost everything that you want! I can superimpose my dry signal sets with max medium and bright but balanced bass (typical at Death-metal) sound fuzz cavernous mode switch "scoop" but beware, the shape knob adjust accordingly if and the sound of fuzz disappears into the mix! Instead, I can bet all in the midrange. The sound palette is very wide FUZZMO! Best defines a Bass Big Muff Pi, and other MXR. 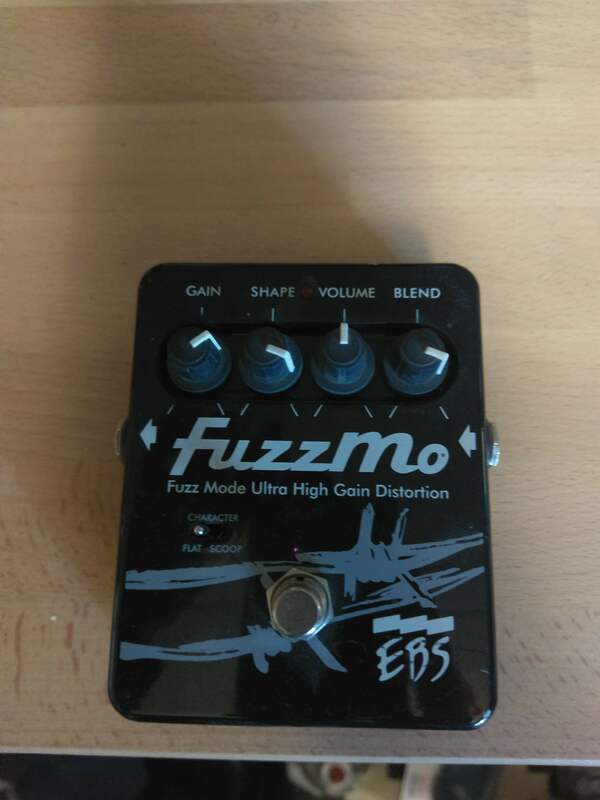 The Fuzzmo to almost as much personality. Good Fuzz, efficient, solid, good setting, good sound. For now, rehearsing it looks fine.